Unfortunately, due to the prospect of some dangerous weather, it seems necessary to cancel classes for today, as well as tomorrow morning. Our 6am Monday, 7:30PM Monday, as well as our 6am TUESDAY are cancelled. 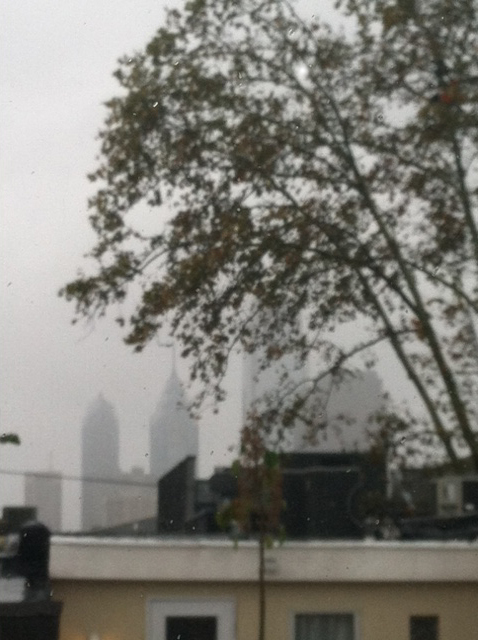 What a gloomy Philly skyline! Stay posted for ways to bodyLOGIC at home to beat this gloomy weather! We will keep you posted on tomorrow afternoon on tomorrow evening's class in Fairmount at 7:30PM. We're hopeful that the weather will calm by tomorrow evening and we can hold our 7:30PM class.